"I am writing this for anyone who is suffering from foot pain issues and is wondering if they should seek out the services of Dr Thomas Schneider of the Gelenk Klinic in Germany...the answer is a big YES." I injured my left foot in Sept of 2013 which left me in excruiting and unbearable pain constantly. I did my rounds of seeing many sports medicine doctors, physiotherapists, MRI's , X-rays, 4 foot orthopedic surgeons in my Ontario, Canada hometown and 2 surgeons in the States who were unable to figure out what the problem was. After almost 3 years of this pain which left me unable to do any sports, work or even walk properly I decided to seek out Dr Shneider at the Gelenk Klinic in Germany after doing careful research and reading and re-reading their website. Their website was clear and very informative. My first point of contact was with Claudia Ponert, the clinics very competent and efficient International case manager. She promply answered all my questions and handled all the scheduling and accommodation finding. Besides being extremely personable, what impressed me the most with my surgeon Dr Schneider was how confident he was that he would be able to help me. He answered all my questions and put me at ease and I felt I was in the best hands. Eveyone who I came into contact with at the Klinik from the radiologist, the anesthesiologist ,the nurses, the physiotherapists went over and above to put me at ease and were all extremely kind. I was greatly impressed with the clinic itself, clean does not even begin to describe it, my private room was spectacular, the food, the round the clock nurses, my after care, I can't describe how efficient the clinic is run. Most importantly my surgery was a great success with no problems once I returned back home to Canada. I never imagined that I would be able to walk barefoot again on river stone no less, stand on my tippy toes and wear something other than running shoes. I can"t even thank Dr Schneider enough for giving me my active life back. I was in a deep depression, on powerfull painkillers for almost 3 years until I made the best decision of my life and seek out Dr Schneider and his team at the Gelenk Klinik. I thank you very much Dr Schneider from the bottom of my heart, you told me after the surgry that my foot would be 90% better but its more like 100% better to me. If I could give more than a 5 star rating I would. "I personally chose Gelenk , because it had surgeon specialized in ankle injury." What is your opinion of the clinic, the specialists and the staff? "The clinic and the staff are very profesional"
Were all your needs met during your stay? "Yes, all my need where succesfully met during my stay." Would you recommend the "Gelenk-Klinik" to your friends and family? "Yes, i would gladly recomend it." "The biggest thing that impressed me, was the high experience of the surgeons in the clinic." What makes the "Gelenk-Klinik" special in your opinion? "Gelenk Klinik is special in my opinion because, it is specialized in joint surgery." What made you choose the "Gelenk-Klinik"- probably among other offers? What should be improved or changed? "Regarding improvement /changes made to the klinik, i would say that accepting payment from house insurance from diferent countryes would be good." "The staff are knowledgeable and approachable. The ones we interacted with closely especially the liaison with foreign patients, Mrs. Claudia Ponert, were always very helpful and made the visit as pleasant as can be." "I would and have been recommending it to anyone with bone related issues." "Didn’t seek other offers as it was highly recommended by a friend who he and his mother were previous patients. " "Attention for the patient, good information." I have been a patient at the Gelenk-Klinik since 2011. At the time, I had been walking with a broken bone in one foot for almost a year and a half. In the country where I live, none of the several "specialists" I went to wanted to operate me. I was quite desperate when I started searching on the Internet for other options. Soon a surgeon from Gelenk-Klinik replied and I got an appointment with him very quickly. Immediately he gave me hope again, and I thought he was extremely professional and serious as he did not limit his check-up to my foot, but had both my feet checked to see what the basic problem behind my fracture was, and indeed there were several. I had a major surgery and I was so impressed by the “5 stars hotel” rooms and treatment in the clinic. The staff was always helpful, friendly and understanding of the pain i had both during the day and at night. I even received acupuncture and physiotherapy treatments while I was there. I had a total of 9 operations with different surgeons according to the problem at the Gelenk-Klinik throughout the years and thanks to each of them I always recovered the use of this or that part of my body. Needless to say, I took my own son to the Gelenk-Klinik and of course many of my friends who, in turn, also brought their own family or friends. There are lots of things that I find impressive about the clinic: the availability and high level of professionalism, the friendly treatment I always receive by nurses, physiotherapists, doctors, all staff in general. A sincere word of merit for the public relations operators, who are absolutely always ready to help, find solutions and arrangements fast and extremely efficiently. I would not know how to work out administrative issues myself and they are my direct contact to surgeons when needed. The only issue that would be useful for the people like me who benefit from a private scheme with Henner would be that an agreement be worked out for Henner to make a direct payment not only for the operations including a night stay, but for all the rest, us being now quite a few to come to the Gelenk-Klinik. Thanks to Gelenk-Klinik I can do sports again: I'm grateful to it and can say that I was lucky enough to find it. What do you think about the clinic, the orthopaedic specialists and the staff? The clinic to me is a comfort zone where I feel pure professionalism and experienced specialist that focus on every detail of the patients' well being and at the same time show a friendly warm caring attitude individually. Where all your needs met during you stay in Gelenk-Klinik? Not only we're all my needs met, but I was run through all that would take place during the operation from the moment I change to go in to the moment I am in the recovery room so I was more than ready for it all with the necessary expectations . I was also met daily by doctors and nurses during my recovery. What I want to say particularly is that my operation took double the amount of time and my wife was waiting for me and worried for seven hours or more and she was consoled by all members of staff from administration to the doctors and nurses and when I came out of surgery I found all the doctors and nurses and Claudia the international patients liason still there at night making sure I was ok and well and my wife was assured and comforted. This type of care and genuine behavior makes all the difference in the world and makes me always know that I would choose Gelenk Klinik over any other place to do any procedures in my future.. I am impressed by how the doctors and nurses of Gelenk Klinik not only seem so professional and experienced but seem so much like a family and it comforts the patient to feel that sort of personal touch in dealings. I already recommended Gelenk to so many of my friends that had a good experience and my mother operated there successfully on both her knees at two different times and is more than satisfied. I find Gelenk Klinik special because of so many things, it is not too big and thus it gives the right amount of attention to every patient. It is located in a small town with lots of green around perfect for rehabilitation and a fifteen minute tram ride away from a beautiful pedestrian area downtown of Freiburg. It has the friendliest nurses and in general a calming atmosphere without the intensity usually felt in a bigger hospital. I chose Gelenk Klinik due to the professionalism of the website and the sufficiency of the prompt feedback and in depth analysis and diagnosis. It made me comfortable because they seemed to know exactly what was wrong and with logical explanations for it and they gave me several options for treatments and I had prior experience with them with my mother and how they were good in pre and post surgery care in addition to the affective surgery. I don't find anything necessary to change in the clinic. Maybe the bathrooms of the rooms could use a modern renovation and maybe a bridge between the two building for better connections instead of crossing the street though I liked the fresh air. 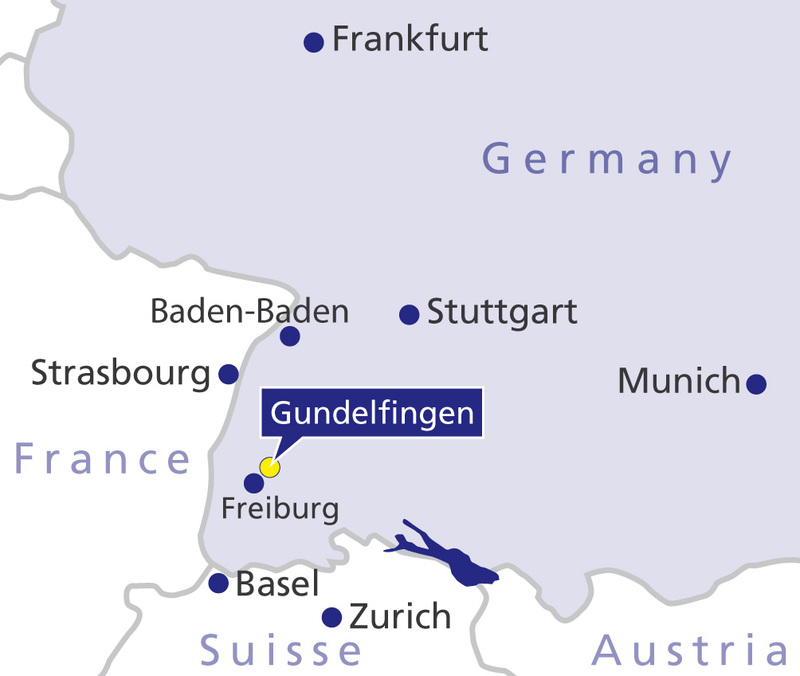 The Joint Clinic/ Gelenk Klinik in Gundelfingen, Germany was recommended to me by a friend who has been successfully treated for various joint problems. Having also a variety of joint problems (knee, hip and foot) I have been extremely satisfied with the high quality of care. 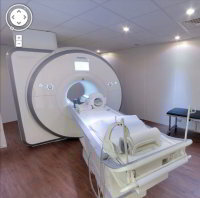 The clinic is small and with modern equipment. I was impressed with the friendly welcome and competence of Ms Ponert and Ms Perez who coordinated my appointments for doctor's consultations, X-rays and MRIs as well as physiotherapy so as to limit my traveling unnecessarily. The multilingual doctors each are specialized in various areas and I have been very impressed by their expertise. I appreciate that at the Gelenk Klinik natural treatment methods are also proposed, joint preservation being the primary object. I was helped by such treatment for some time. It was only some time later when such treatments no longer worked did I need two surgeries. The knee replacement operation proposed was less invasive than that which had been proposed in my home country. Two years later I am walking very well and have excellent movement in my knee. During my hospital stay I found the staff very professional and attentive. Being a small clinic there is a very personal and caring atmosphere. My family traveled to stay with me during my hospitalization and we were very grateful to be able to rent the well-equipped appartment, belonging to the clinic, for a reasonable price. I have since recommended the Clinic to many friends and all have been equally impressed with the high standard of medical care. I like it a lot, they are all really concerned on understand your symptoms and treat them the best and most safe way possible. The proximity between patient and doctors, and the use of new surgery technologies. The use of new surgery technologies. Offering new housing possibilities during post-op which last aprox. 1 month.